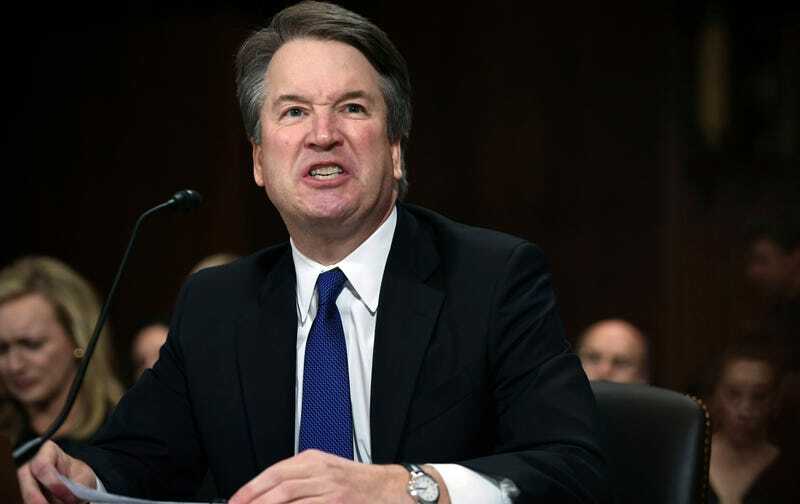 On Thursday, Supreme Court hopeful Brett Kavanaugh published an op-ed in the Wall Street Journal which, no matter how many times I read it dramatically out loud to myself, I can only imagine being spoken in the stunted, loud-mouth voice hockey of the nominee. He mentions his coaching of girls’ basketball teams again—maybe because he doesn’t have much to recommend himself to women, maybe because he loves to scream “huddle up!”—I don’t know but he keeps saying it. At this point in the essay we understand that Kavanaugh likes the law, and coaching girls’ basketball, and his mom—but does he like crying and yelling? Emphatically, no! Kavanaugh clearly wishes to blame his temperament on the Democrats, who asked him pointed questions during the hearing, and the women who accused him of sexual misconduct and assault. As a daughter, a granddaughter, an independent lady blogger, and friend, I am disappointed this letter does not contain any stories about boofing at Tobin’s house.